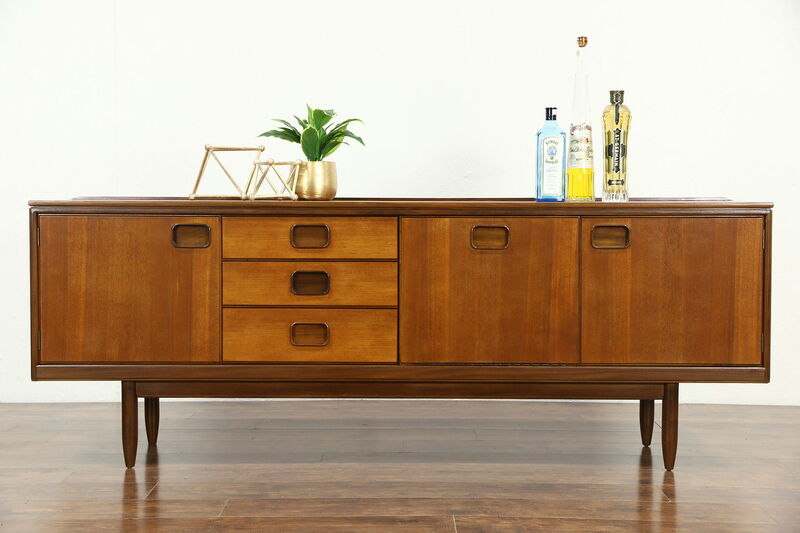 A Midcentury Modern sideboard cabinet with a drop front bar is genuine teak from the 1960's, and makes a sleek TV console as well. The restored finish is in excellent condition on this vintage furniture from England. Measurements are 78" long, 17" deep and 29" tall.